This is a Contemporary Giclee Print by the artist Ismael Pinteño.Image size - 550 x 370 mm.. This is a Contemporary Giclee Print by the artist Ismael Pinteño.Image size - 550 x 410 mm.. This is a Contemporary Giclee Print by the artist Ismael Pinteño.Image size - 370 x 550 mm.. 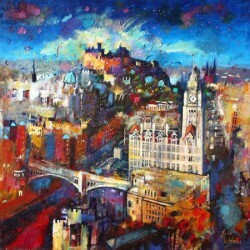 This is an Open Edition Giclee Print by the artist James Somerville Lindsay.500mm x 500mmP.. This is a Contemporary Fine Art Canvas Print by the artist Laurie Plant.750mm x 750mmIconi.. This is an Open Edition Giclee Print by the artist Peter McDermott. 594mm x 841mm .. This is an Open Edition Giclee Print by the artist Peter McDermott. 420mm x 594mm .. This is an Open Edition Giclee Print by the artist Rob Hain.500mm x 500mmGateway to the Mi.. This is an Open Edition Giclee Print by the artist Rob Hain.500mm x 500mmGraduation Day, E.. This is an Open Edition Giclee Print by the artist Rob Hain.560mm x 280mmHalfway Home Prin.. This is an Open Edition Giclee Print by the artist Rob Hain.500mm x 500mmMeet Me By The Fo.. This is an Open Edition Giclee Print by the artist Rob Hain.560mm x 280mmThe Blossom Tree .. This is an Open Edition Giclee Print by the artist Rob Hain.500mm x 500mmVictoria Street P..